Five in a row? We haven't even met up yet! Con O’Callaghan doesn't shy away from the inevitable. He doesn't pretend it won't be out there, hovering over every ball kicked by Dublin in 2019. The air will be thick with endless talk of five-in-a-row. But that won't alter the mindset of the people who really matter: the inhabitants of Jim Gavin's dressing-room. "Everyone outside of the camp is going to make it out to be massive - five-in-a-row - but we haven't even met up yet," the 22-year-old is quick to clarify. "And I'm sure when we do, we'll chat over everything but it won't be something we'll focus on. "Everyone knows that we focus on the process and if you start thinking about these glory titles - five-in-a-row - you're probably not in the right head space to be playing matches. "Our focus is league, which we always take seriously, and then championship. It's not going to be about how many titles we've won." According to O'Callaghan, maintaining this tunnel-vision comes naturally to the group. They don't require any frequent reminders from the boss. "There's a leadership group and I suppose nearly everyone is a leader on the team," he explained. "A lot of it is player-driven so, if there are lads out of line, they'll probably be called out by players rather than by management. Jim will say what he needs to say but it's players in the end." O'Callaghan is in Philadelphia, enjoying some well deserved down-time on the PwC All-Stars football tour before the quest for history resumes with a vengeance in January. He has been around for three of Dublin's four-in-a-row: he was a rookie fringe panellist in 2016, a goalscoring trailblazer in 2017, and a big-game performer when it ultimately mattered last summer. Ensconced in a Sky Blue bubble, the Cuala clubman didn't feel any particular extra pressure during Dublin's quest for four. He hopes the same applies next season. "Everyone will be trying to stop you - that's the reality of it," he accepts. "We try to keep it within ourselves and stay off social media. We try to stay together as a group, particularly when the games are getting big and there's lots of people talking from outside. "It's a personal thing - I'm not on any of the (social media) platforms. Some lads enjoy it and others don't. If it's part of your life and that's what you do, I don't think it has a massive effect … but if you think it does affect you, better to stay away." By the headline-grabbing standards of 2017 - all culminating in his first All-Star - O'Callaghan didn't reach quite the same heights this year. Yet he's quick to refute any impression that he found the season more difficult than the stand-out summer before. "I don't know if you'd say difficult, really," he said. "Again, it was a hugely enjoyable year, both personally and as part of the team. In 2017 I'd a really good year … I took a lot of chances, some things came off and they don't always come off. But I really enjoyed the year (2018). Yeah, I was happy with it overall." 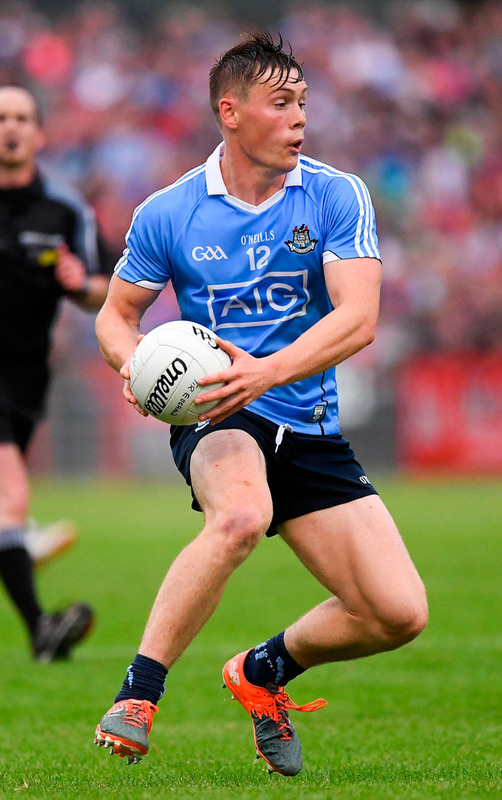 O'Callaghan was especially content to finish out with his two best performances, against Galway in the semi-final (when he tallied 1-3 from play) and then Tyrone in the final (when he played a key creative role in the build-up to both Dublin goals). "I got a nice little break for the Roscommon (Super 8s) match because we were already through and top of the group and it didn't make a difference," he recalled. "That's what you want: to peak at the end of the season but I still really enjoyed the Leinster campaign. I think the Super 8s were really enjoyable as well. "I know some people are giving out but just to get more matches and be able to build up your form, personally and as a team, was better." Knowing what we do of this Dublin team, there's no doubt they will do so again in 2019.